If you’ve landed on this article, that means you’ve taken the first step toward a positive relationship with food and eating with 2B Mindset. Congrats! The 2B nutrition plan can help you eat healthy without feeling deprived, without counting calories, and without cutting out whole food groups. To get you started, we’ve put together a roundup of tasty and delicious 2B Mindset recipes for breakfast! And if you’re not familiar with 2B Mindset but want to learn more about this healthy approach to eating, read about co-creator Ilana Muhlstein’s journey here. Pro tip: Check out these delicious, easy 2B Mindset recipes for lunch, dinner, and snacks. 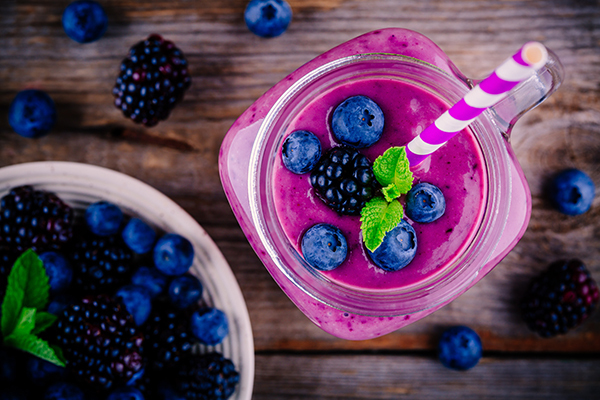 Blueberries and raspberries blend up to create this gorgeous berry Shakeology shake that fills you up with superfood nutrition and is perfect for an on-the-go breakfast. This recipe calls for frozen blueberries and blackberries, but if berries are in season where you live, you can use fresh instead of frozen! Get the recipe here. 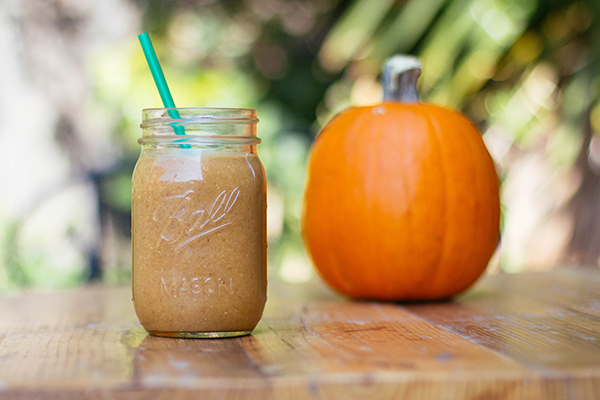 This pumpkin pie smoothie has all of the warm spice and sweetness of the iconic dessert but won’t weigh you down with all the sugar and fat that usually comes with a slice of pie. Get the recipe here. This vegan limited-edition shake features notes of pumpkin spice — cinnamon, nutmeg, and ginger. It’s incredibly tasty on its own, mixed with milk or almond milk for a creamier version, or simply added to your favorite Shakeology recipes. 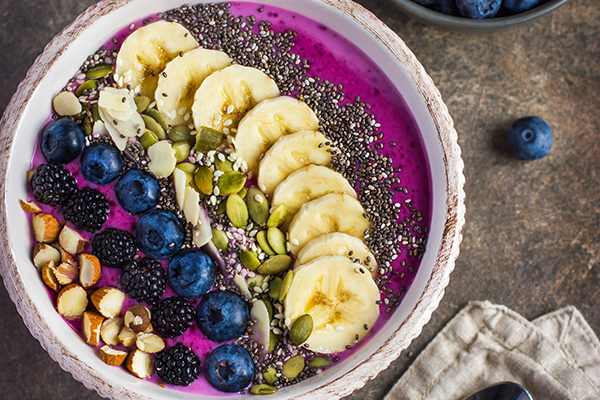 If you prefer to eat your smoothies with a spoon, this smoothie bowl is the perfect option. The secret to a spoony smoothie? Plenty of ice — it thickens the smoothie and makes it look and taste almost like ice cream. (“Ice cream” for breakfast? Yes, please!) Get the recipe here. 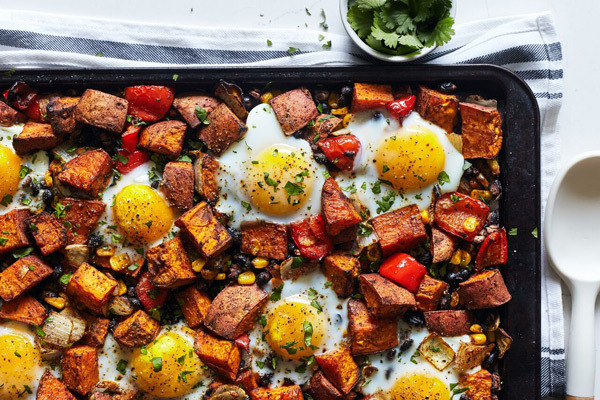 If you prefer a warm breakfast and have a little more time in the morning, this super easy sheet-pan recipe is just the ticket. Just throw everything on a pan, pop it in the oven, and you’ll have a hearty, filling breakfast — or add more veggies or a side salad for lunch! Get the recipe here. 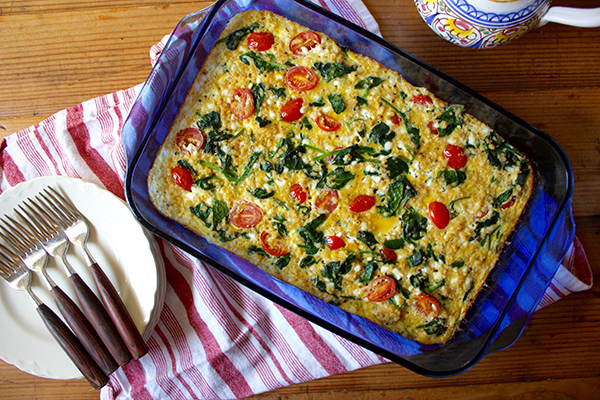 This isn’t your grandma’s casserole: This breakfast casserole features veggies, protein, and cottage cheese. *Note: If you swap in protein for veggies, just be mindful that it will affect your Plate It! portion. 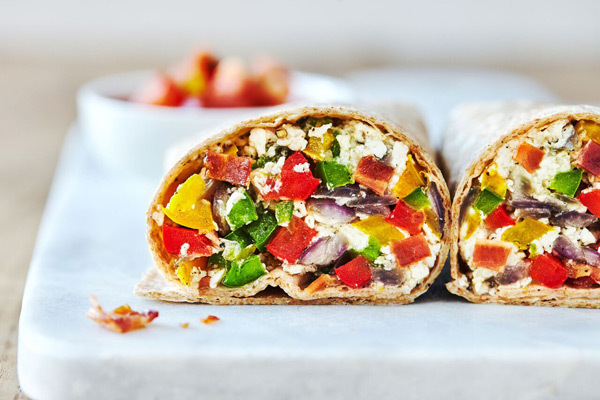 This colorful breakfast burrito contains a rainbow of veggie goodness — red, yellow, and green bell peppers and fresh tomato salsa. Three egg whites add a punch of protein, while low-sodium turkey bacon provides a satisfying crunch. Get the recipe here. 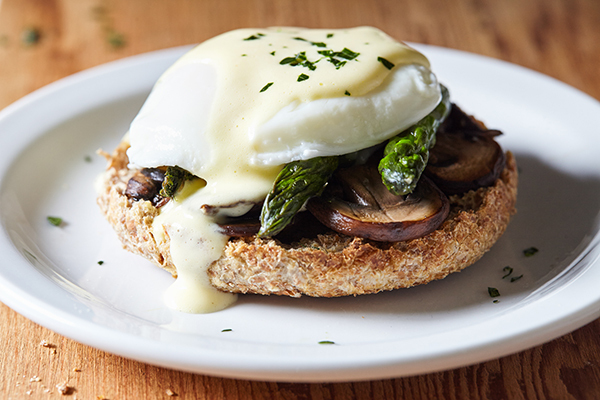 This Vegetarian Eggs Benedict with sautéed asparagus and mushrooms and a much healthier version of hollandaise sauce is a delicious way to start your day. Get the recipe here. 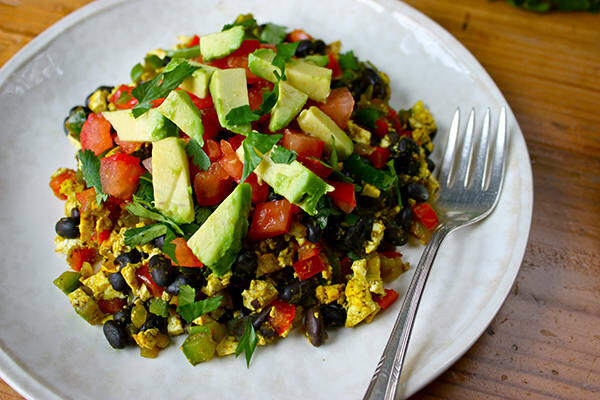 This hearty scramble features veggies, tofu, avocado, and fresh salsa. Not sure about the tofu? Don’t worry — the tofu actually delivers the flavor and texture of scrambled eggs in this yummy breakfast dish. Get the recipe here. 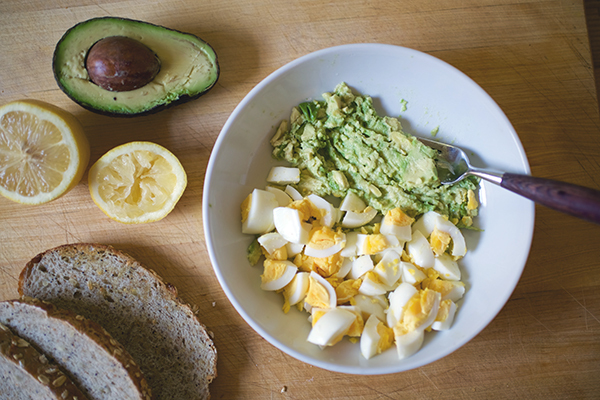 If an avocado and an egg had a baby, this bright, creamy, and healthy spread would be it. Breakfast couldn’t be easier — slather this over whole-grain toast and top with a small handful of watercress for a peppery kick. Get the recipe here. 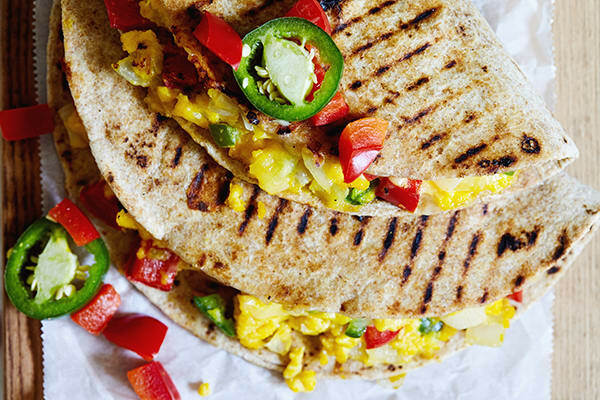 It’s easy to whip up these breakfast quesadillas, and if you’re a meal prepper, you can make a batch in advance to save even more time. Just grab one out of the fridge and heat it up. 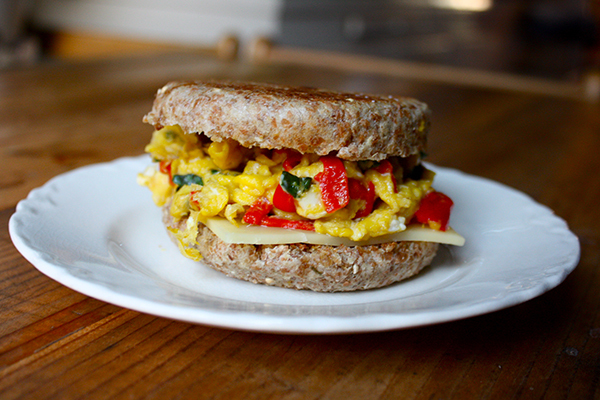 And the flavor… who can resist colorful veggies, scrambled eggs, and melted cheddar cheese?! Get the recipe here. Skip the drive-through breakfast sandwich loaded with fat, salt, and other not-great stuff and make your own healthy version at home. Get the recipe here. If you need more inspiration, check out these 2B Mindset recipes for lunch, dinner, and more!